Organs Art Mug under a microscope! 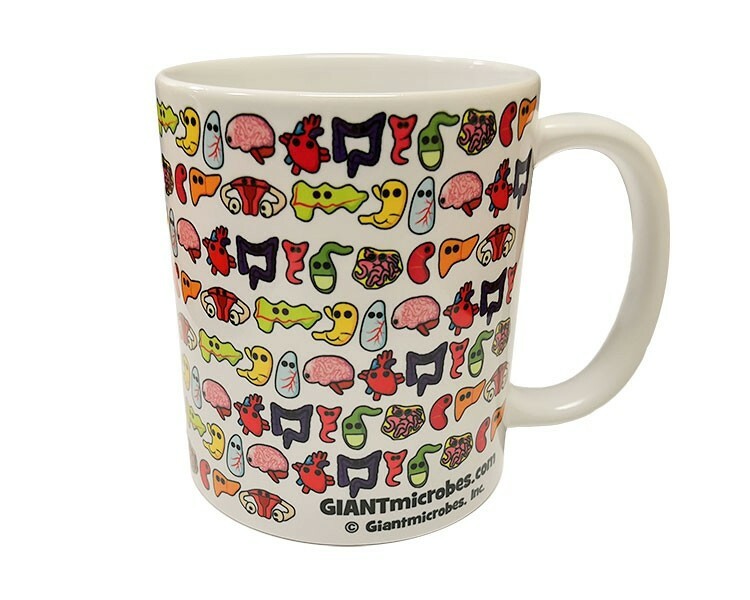 This colorful ceramic 11-ounce mug features twelve of your most spectacular internal organs. Seeing these biological darlings will have you feeling wonderful from your brain to your pancreas. 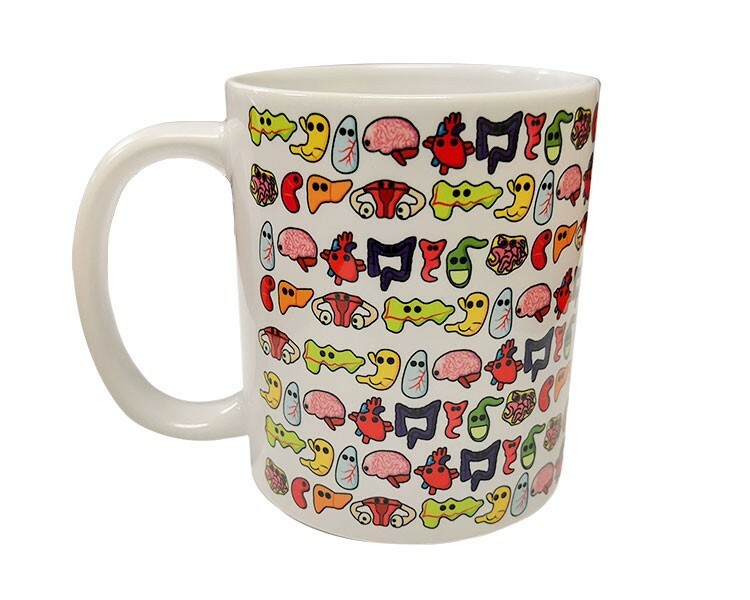 Grasping this mug will fill your lungs and heart with joy. And sipping from it will please your stomach and intestines in ways that only your organs will appreciate.